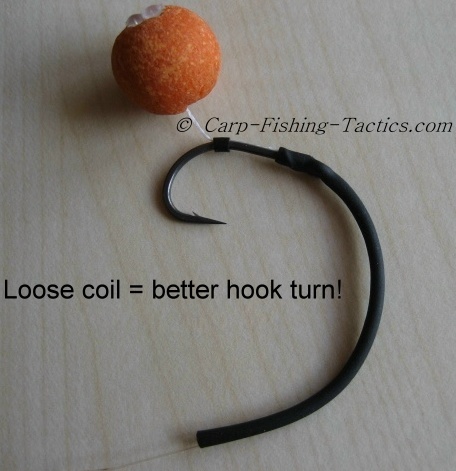 The tightly coiled withy rig may seem as though it would go into a carp's mouth easier due to the smaller size, but it doesn't seem to turn as effectively as a loosely coiled withy fishing rig. 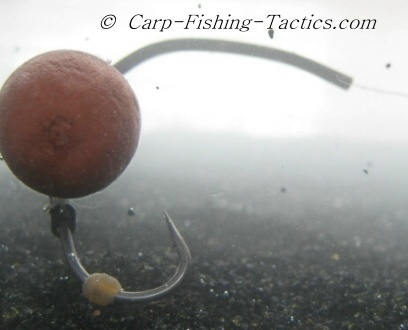 Have a look at the different types of withy pool rigs below to see which type you think would work best for catching big carp. If you have any questions, ideas or if you've experienced any problems with the withy rigs shown here, please feel free to send us a message CLICK HERE!. 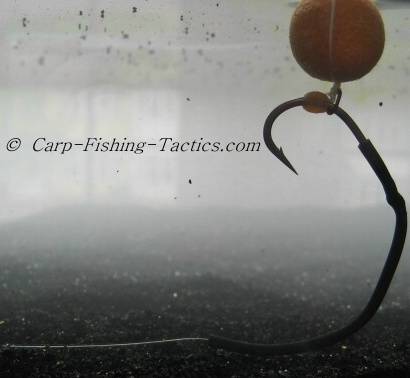 A tightly coiled rig tubing doesn't seem to turn very well when palm testing the rig for its hooking ability. 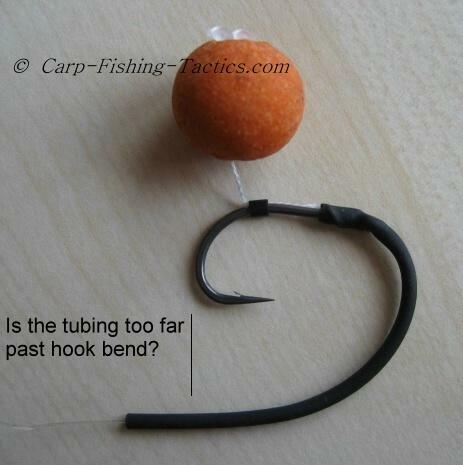 Longer tubing that protrudes past the hook bend also seems to have poor hooking ability! Loose tube coils seem to turn and hook much better according to our experiments! 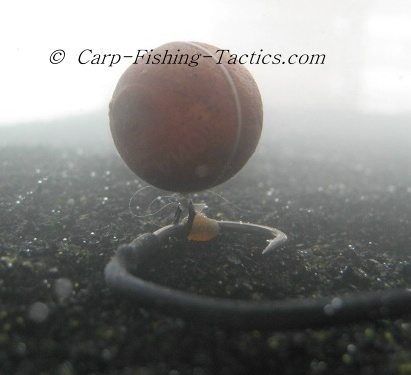 See how to make the best withy pool fishing rig from our experiments! 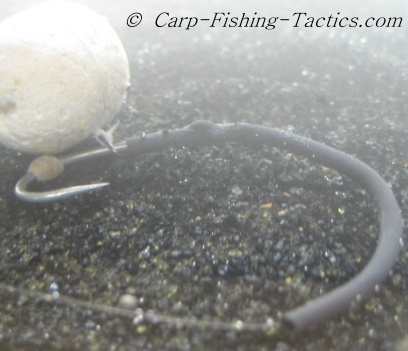 Not very buoyant pop-up boilie may cause this problem! With a little manipulation, the withy pool pop-up sits correctly in silt. However, we cannot trust it'll land like this when casting out in a fishing situation! 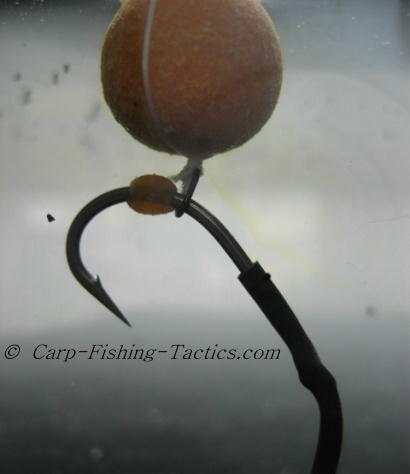 The best way is to use a very buoyant pop-up boilie for the withy pool rig to sit better on the bottom. 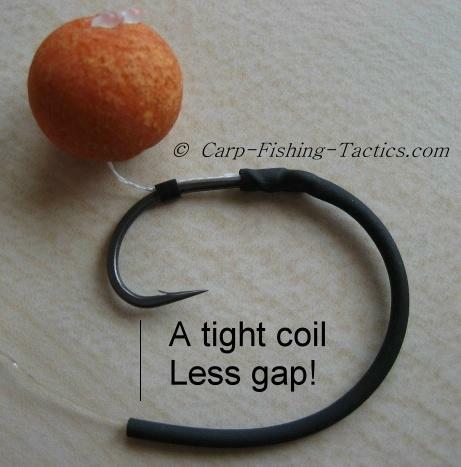 But, I personally don't like to use a withy style of carp rig with pop-ups. It looks ok here, but, will it lay on the lake bed in this way? I prefer to use big bottom boilies when using a withy pool carp fishing rig. Although, I always use a withy setup with a hair rig, rather than with a rig ring on the shank, as is shown in the photo above.